Cynthia Is Santa Rosa’s Caregiver of the Month! Hired Hands Homecare’s Santa Rosa office is PROUD to announce Cynthia A. as our most recent Caregiver of the Month! Cynthia has worked for Hired Hands since November 2015 and has been an amazing addition to our team. She is always willing to take a last minute shift for us and help out with on-call. One of her most important traits is that Cynthia regularly communicates with the office, and updates us regularly on the clients she is working with, which helps us provide the best care possible. She is a team player and we are proud to have her as our April Caregiver of the Month! 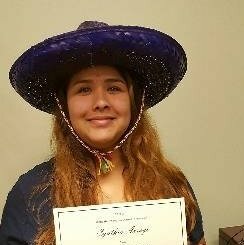 Cynthia – Thanks again for ALL you DO, and Congratulations for being Hired Hands Homecare – Santa Rosa’s Caregiver of the Month!